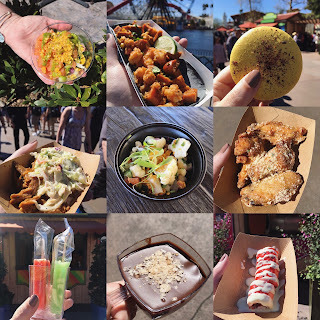 Disneyland Resort Parks has some amazing food themed around the different seasonal holidays. 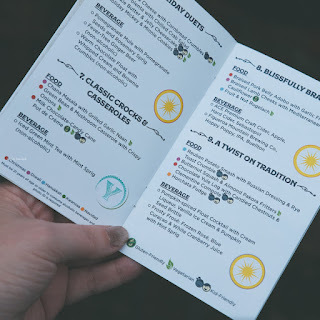 Those with gluten allergies or other dietary restrictions often miss out on getting a chance to try these tasty seasonal offerings. This year the Festival of Holidays at Disney California Adventure Park has several options that many gluten free guests will enjoy. 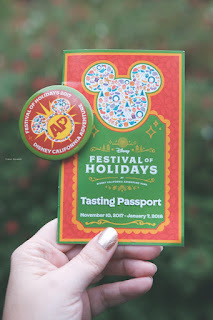 I searched the Internet for anything I could find about Navigating the Festival of Holidays while gluten free and found little to no information. 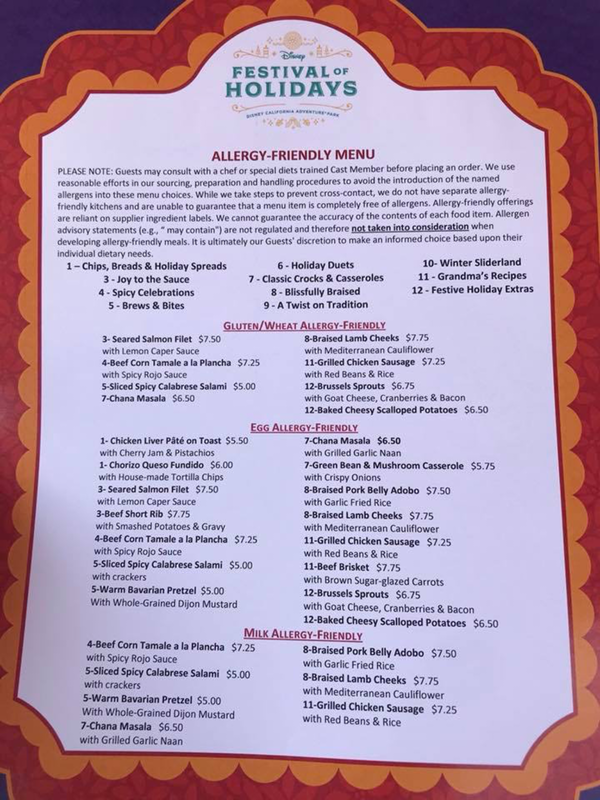 I also contacted Disneyland Resort via email for help and received a very long email about how they take pride in providing options for their guests with food allergies and dietary restrictions (to which I can most certainly agree), but in the email I was told to talk with a chef when I arrive. 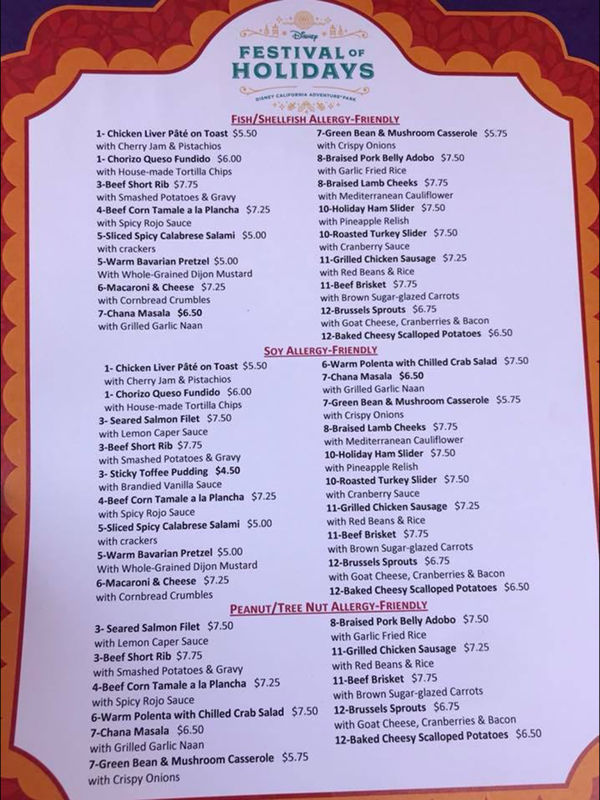 While I understand menu ingredients can change and Disney wants to make sure they take necessary precautions for their guests; I don’t understand why they don’t just update these menu options on their website and not have these menus so secret. 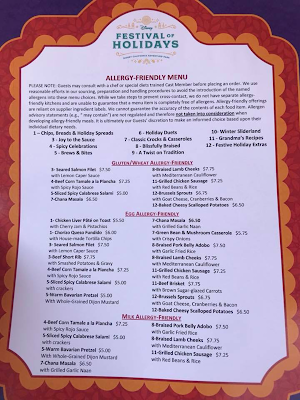 Special thanks to all the guests who take pictures of the Food Allergen Menu and share them online. 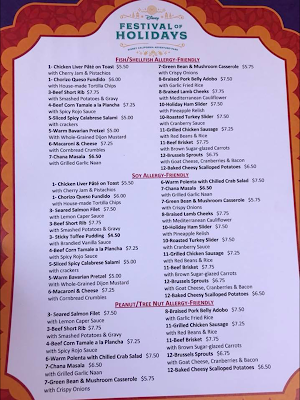 There might be some errors in the menu above please verify with chef when you arrive. 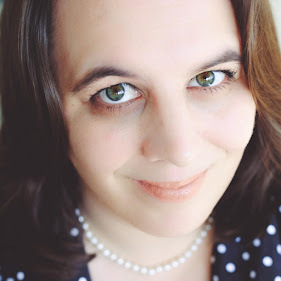 I already noticed in the Gluten Free section the Chana Masala is possibly not gluten free because it is served with Naan bread (you might be able to request it without the Naan. In the actual tasting Passport it is only listed as vegetarian not gluten free.